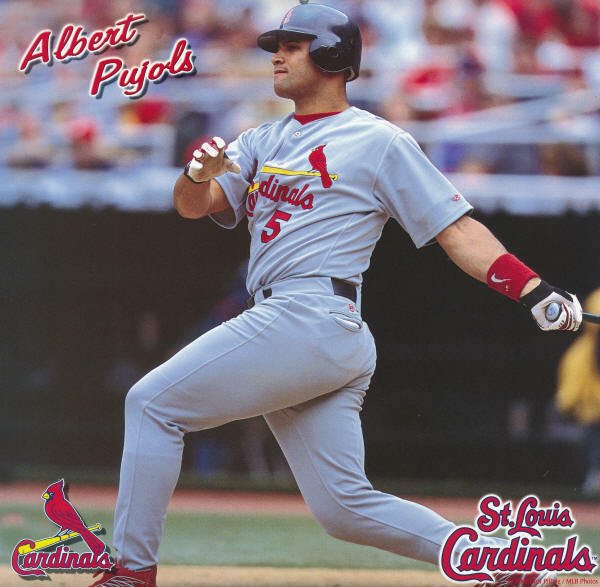 Albert Pujols reached 1,000 career hits and 200 career home runs in fewer games than any player in Major League history (806 games).... the record had been held by Willie Mays, who notched 1,000 career hits and 200 home runs in 825 games. 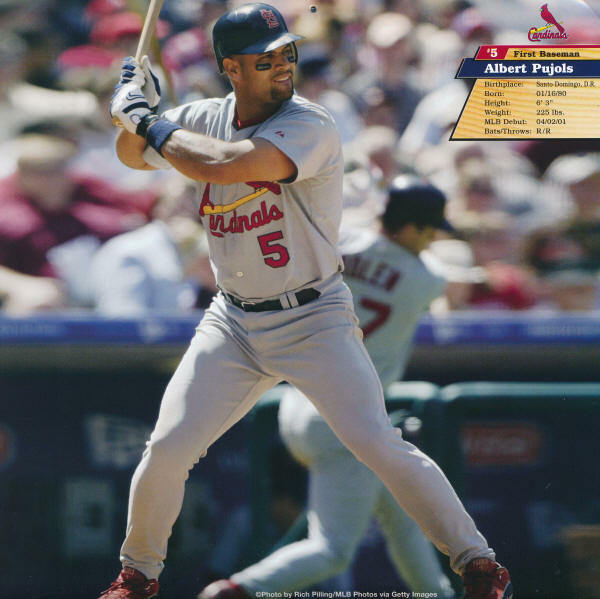 Albert Pujols holds the Cardinals record for the most HRs (37 in 2001) by a rookie. 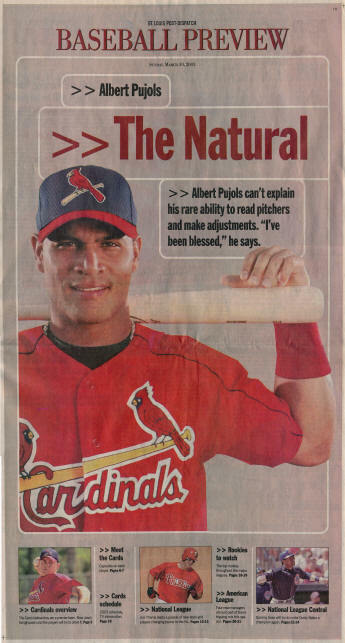 "I believe he's been reincarnated. 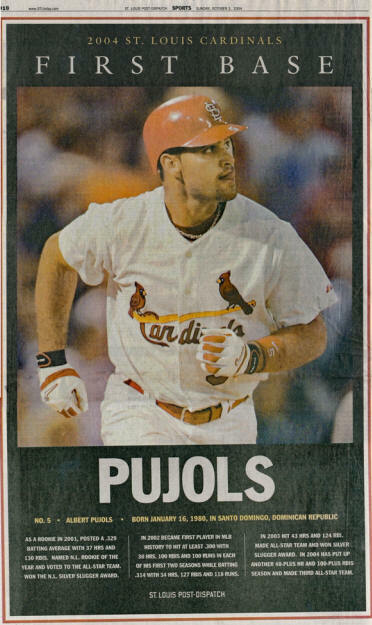 That he played before, in the twenties and thirties, and he's back to prove something" - Mark McGwire, speaking about Albert Pujols. 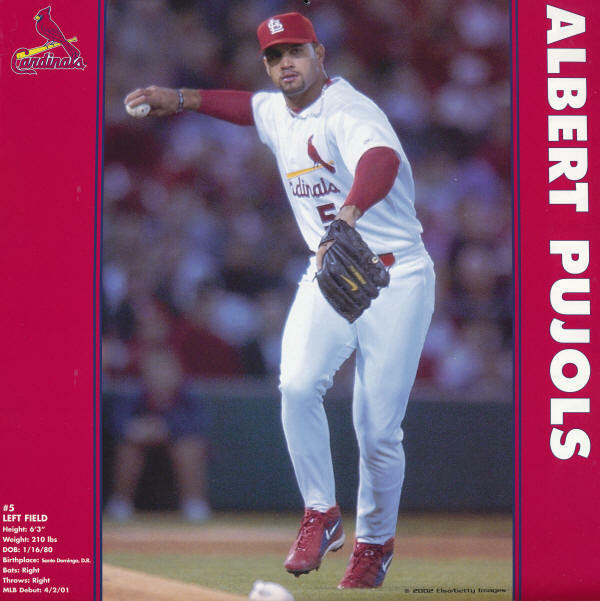 From 2000-2009, Pujols led the NL with a .334 batting average, 366 HRs and 1,112 RBIs making him a rare Triple Crown winner for the entire decade. 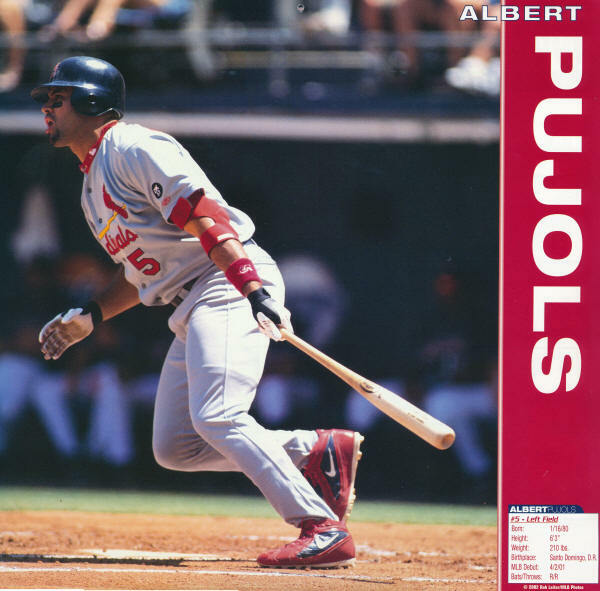 Pujols hit better than .300 with at least 30 homers and 100 RBIs in his first 9 seasons (2001-2009) becoming the first player to start his career in such spectacular fashion. 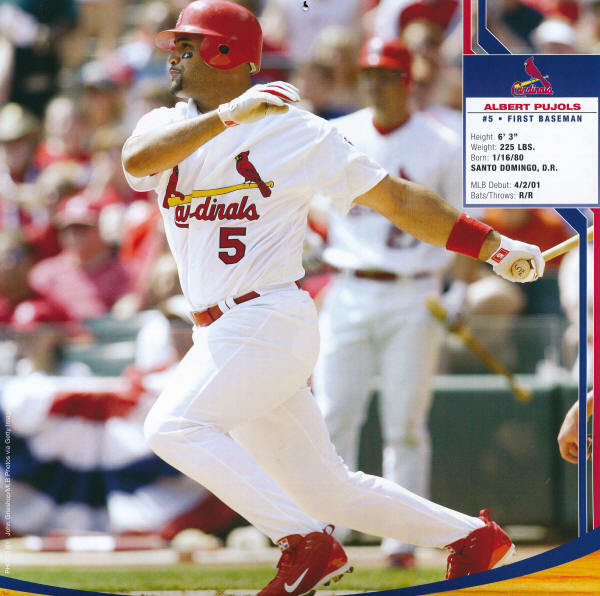 He was voted NL MVP in 2005, 2008, and 2009 (unanimously) He finished 2nd on three other occasions. 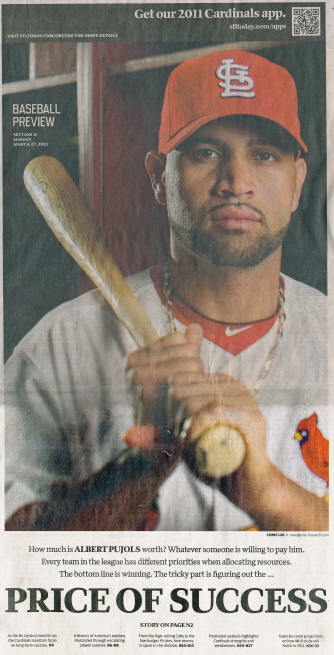 He is the first player to win the Silver Slugger at three different positions.